Apple Won a major court victory against the Federal Bureau of Investigation (FBI) in an ongoing legal battle similar to San Bernardino. 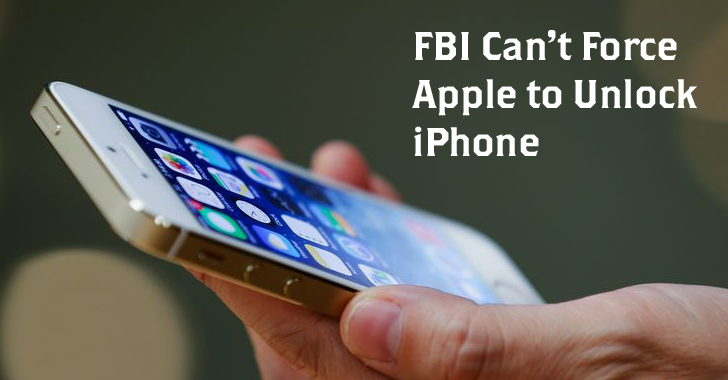 In a New York case, a federal magistrate judge has ruled in favor of Apple, rejecting the U.S. government’s request to force Apple to help the FBI extract data from a locked iPhone. This ruling from United States Magistrate Judge James Orenstein for the Eastern District of New York is a significant boost to Apple's pro-privacy stance to resist the agency's similar efforts over unlocking iPhone 5C of an alleged San Bernardino terrorist. The ruling [PDF] was issued on Monday as part of the criminal case against Jun Feng, who was pleaded guilty in October last year to drug charges. The Drug Enforcement Administration (DEA) seized Feng's iPhone 5 last year, but even after consulting the FBI, it was unable to access the iPhone. According to both the DEA and FBI, it’s impossible for them to overcome the security measures embedded in Apple's iOS. Thus, the government filed a legal motion seeking a court order requiring Apple to help in the investigation "under the authority of the All Writs Act of 1789" – the same old law the FBI is invoking in the San Bernardino case – so that the government could bypass the iPhone's passcode security. However, the company objected the order, noting that there were nine more criminal cases currently pending in which the U.S. government was seeking a similar court order. Orenstein also disagrees to the government request for this ruling because it involved the vast interpretation of the All Writs Act that has been used to force private companies, like Apple, to comply with government requests for user information. Ultimately, Judge Orenstein argued that the government can not misuse the All Writs Act to compel private companies to help extract information from locked devices that the government wants. "Ultimately, the question to be answered in this matter, and in others like it across the country, is not whether the government should be able to force Apple to help it unlock a specific device; it is instead whether the All Writs Act resolves that issue and many others like it yet to come. For the reasons set forth above, I conclude that it does not. The government's motion is denied." A different law, named the Communications Assistance for Law Enforcement Act (CALEA), explicitly forbids the type of interference government requested in this and the San Bernardino case. What's worth notable is that in the San Bernardino case, the FBI requires Apple to create a whole new mobile operating system for the terrorist's iPhone, which is an even greater demand the law enforcement is pushing on Apple, than in this drug case. However, Apple is serious to enhance its iPhone security that even the company can not hack. To achieve this the company also hired Frederic Jacobs — one of the key developers of Signal, the World's most secure, open source and encrypted messaging app. However, the decision for the San Bernardino case is still pending. Apple is continuously fighting its legal fight against the FBI, so let's see who’ll win this battle over privacy: Apple or The FBI? What do you think? Know us in the comments below.